There has been numerous goalkeepers linked with Napoli in past few months. 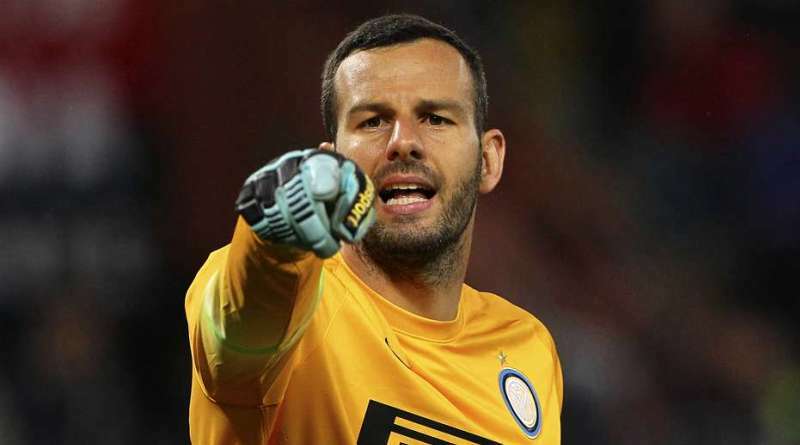 According to a report from Calciomercato, Napoli will look to sign Inter goalkeeper Samir Handanovic. The Slovenia international was signed by Inter in July 2012 from Udinese for a fee of 15.1 million euros. The 33-year-old has a contract until 2021 with the club. Since his arrival from Udinese, Handanovic has conceded 275 goals and provided 86 clean sheets in 245 games. The 33-year-old is considered to be one of the best goalkeepers in Slovenia. As a member of Slovenia national football team, Handanovic won 81 caps. His performances have seen him become the target of many European clubs including Napoli. Carlo Ancelotti wants to sign a new goalkeeper and Samir Handanovic is one of the names at the top of his wishlist. He is a long term admirer of Handanovic and believes he can get the most out of the Slovenia international. Napoli will be desperate to make an impact in the summer transfer window. Signing the 33-year-old in the summer transfer window would be a masterstroke from Carlo Ancelotti. Napoli fans would certainly love to see him arrive at the club this summer. Whether he will join Napoli or not remains to be seen.